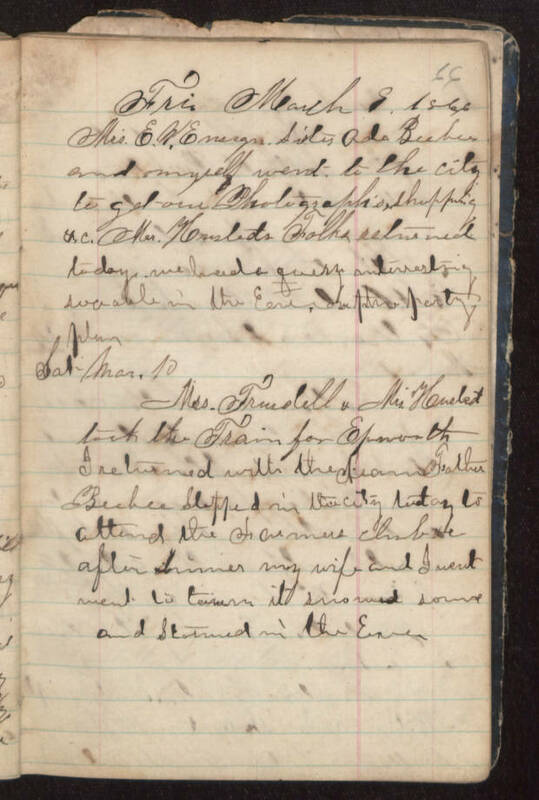 Fri March 9, 1866 Mrs. E. W. Ensign sister Ada Beebee and myself went to the city to get our Photograph's, shopping etc. Mrs. Husteds Folks returned today we had a very interesting sociable in the eve. Important party plan Sat Mar 10 Mrs Trundell & Mrs Husted took the train for Epworth I returned with the team Father Beebee stopped in the city today to attend the Farmers Club After dinner my wife and I went went to town it snowed some and stormed in the Eve.